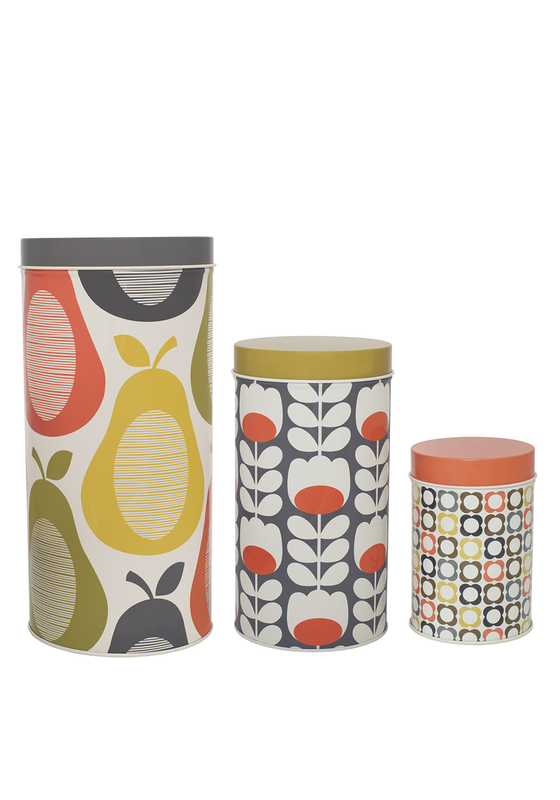 A set of three different sized canisters from Orla Kiely. 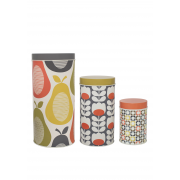 These storage tin have an attractive multi coloured design that will brighten up any kitchen space. A handy kitchen accessory for storing items.